So You Think You’re Rewarding Your Dog? Reading through literature on dogs you often come across authors who refer to some dogs as ‘Head Shy’. 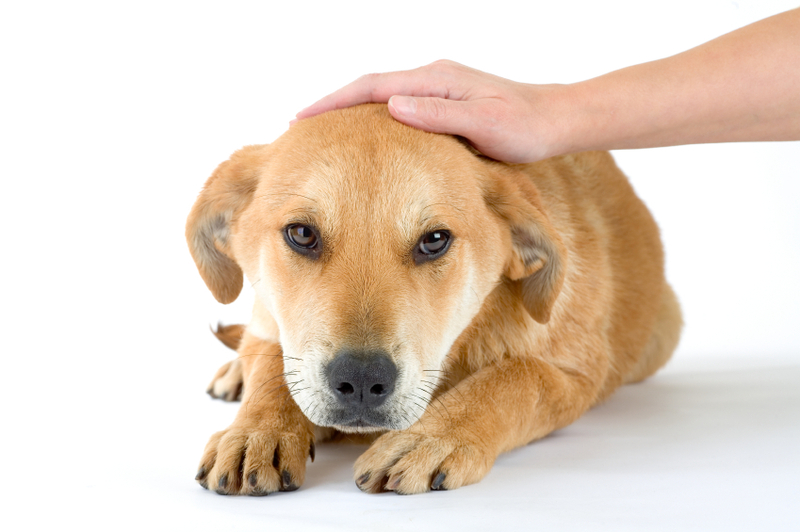 The theory is that a ‘head shy’ dog finds being petted about the head unpleasant or aversive. I would argue that the absolute majority of dogs are ‘head shy’; rarely do I encounter a dog that actually enjoys being petted about the head, especially by strangers. I know of some dogs that will tolerate it but the dogs that actually enjoy it are few and far between. Occasionally the client will heed my advice and cease petting the dog about the head, much to the dog’s relief. Often my advice falls on deaf ears and clients continue to ‘reward’ their dogs in this manner only to later claim there’s something wrong with the training method because their dog still won’t ‘obey’ despite being ‘rewarded’. Recently I had a client claim their Beagle was ‘dominant’. Puzzled, I asked the client how he had arrived at that conclusion. The client explained that the dog would ‘drop’ on command for his partner and other people but not for him. He had read somewhere that the ‘drop’ position is a ‘submissive’ position and since the dog would no longer drop for him he assumed it was trying to assert its ‘dominance’. I recognised this client was probably doing something the dog didn’t like since he would ‘drop’ for everyone else except this handler so I asked him to cue his dog to drop and nag if necessary until the dog complied. It was clear the dog did not want to comply; he turned his head, avoided eye contact, licked his lips and yawned. Finally, under pressure, the dog slowly complied. Immediately the reason he was avoiding ‘dropping’ became apparent. His owner was excited (he has a BIG personality) and squealed and petted (read roughed him up!) around the head! Case solved. The dog had come to predict that dropping for this guy meant getting roughed up about the head as a ‘reward’ and since the dog found the ‘reward’ aversive he avoided it at all costs. I also observe this frequently in Recall classes. Excited by their dog’s willingness to come when called, clients drop down onto their knees to hug it and rough it up around the head. The result is a dog that is unwilling to come all the way and will usually stop around a metre and a half short of the handler or do a ‘drive by’ to avoid this display of affection. Often what you perceive as rewarding and what your dog actually finds rewarding are two different things. All humans love to show their dogs affection but it’s important to understand that not all dogs like receiving affection the way humans display it. In my experience most dogs would rather forgo any type of petting when there are food rewards involved. Just as you would not want someone man-handling you while you enjoy a nice meal. Once you really understand what your dog finds reinforcing you will deepen your bond and your dog will be more willing to participate in training activities.